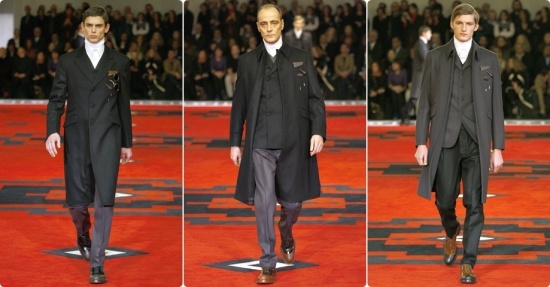 Miuccia Prada known for setting the stage rather than following it, most certainly made her Men's Fall/Winter (F/W) Prada 2012 point of view quite clear this season Walking down the runway at her Milan Fashion Week show this passed Sunday, was as an army of cinematic faces: one by one, the likes of Gary Oldman, Adrien Brody, Willem Defoe, Tim Roth, among many others (as well as models) strutted the newest Prada looks for men this 2012. The milan based fashion house's aesthetic for men this winter and into 2013, smells of old aristocracy, perhaps summoning some French and Italian nobility to walk down the runway. The accomplished Italian designer also summoned some of the most intriguing and talented actors—looking extremely dapper, regal, but mostly also looking very serious in taking in their new role as a Prada Model (most of all, Adrien Brody; have a watch at the video featured top right). 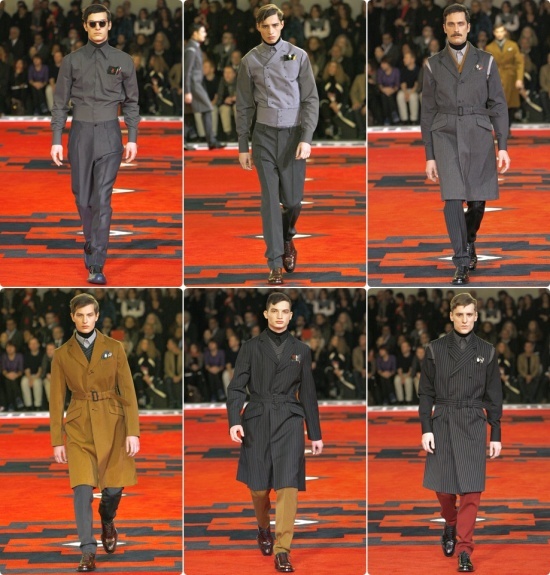 The nobility looks by Prada for F/W, were executed in modern translation of course, by employing up-to-date cuts and fabrics. 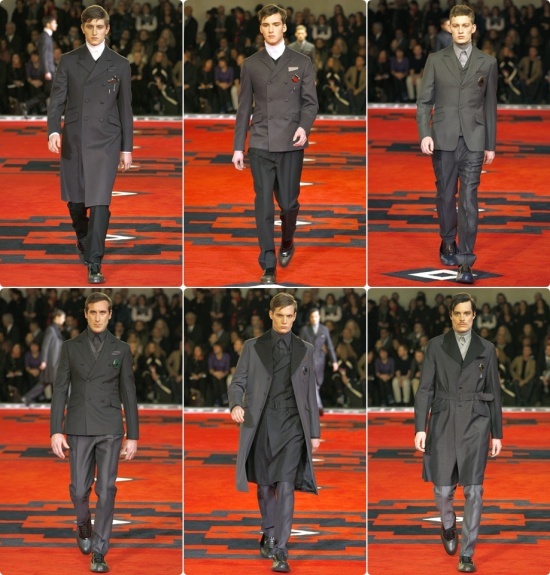 Cinched trench coats with a three, sometimes four piece suits reverberated through out the show. 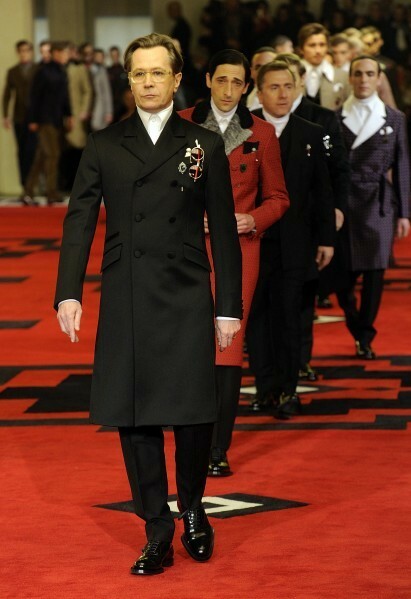 The re-imagined and embroidered lapels coupled with the finely tuned sophisticated cuts and a play on old-world prints, was also layered with the influence of military style—with badges hanging from the breast pockets—which really bring forth a rough edge to an otherwise well-refined treatment. At first, when the actors did walk down the red-carpeted path, one could see a as sense of confusion, and then finally with loads of confidence abreast, perhaps an instruction as per the designer of the evening. 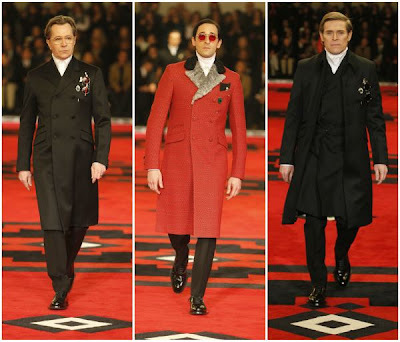 “Clothing is also a tool of power and a way to express male vanity," Miuccia Prada later told the press, after the show.